Save AED 21 (47.73%) – Earn 2 Shukrans What is Shukran? Shukran is the Landmark Group’s award-winning loyalty programme in the Middle East, which allows you to earn Shukrans when you shop any of our brands. Develop your kid's hand-eye coordination and cognitive skills by gifting her this creative clock making kit. 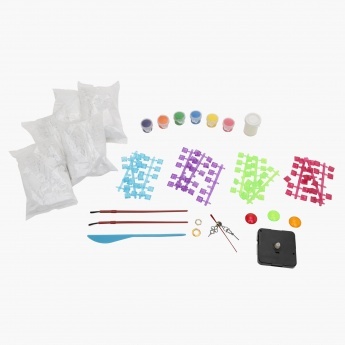 This kit is inclusive of various beads, colour paints, brushes, moulds, etc. 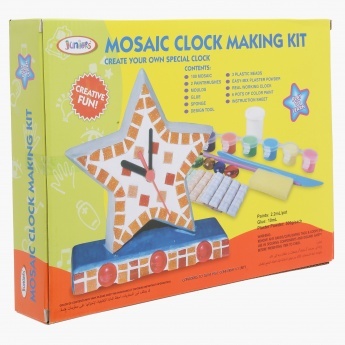 to help your daughter use her artistic mind to make innovative clocks.